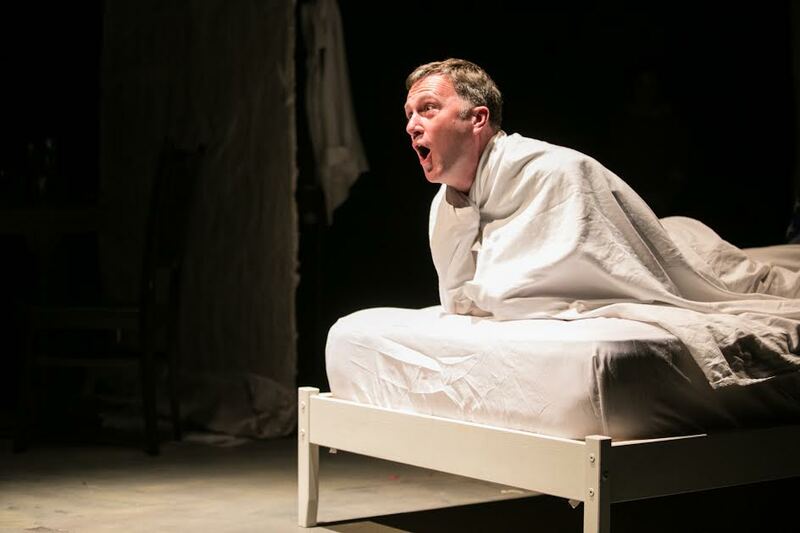 TheatreFIRST steps out boldly in its premier production of “Between Us,” Part B–with three solo plays by Bay Area artists. Part B forcefully tells the stories of three neglected U.S. historical figures. These remarkable politically charged works question U.S. imperial politics, and sound the alert. 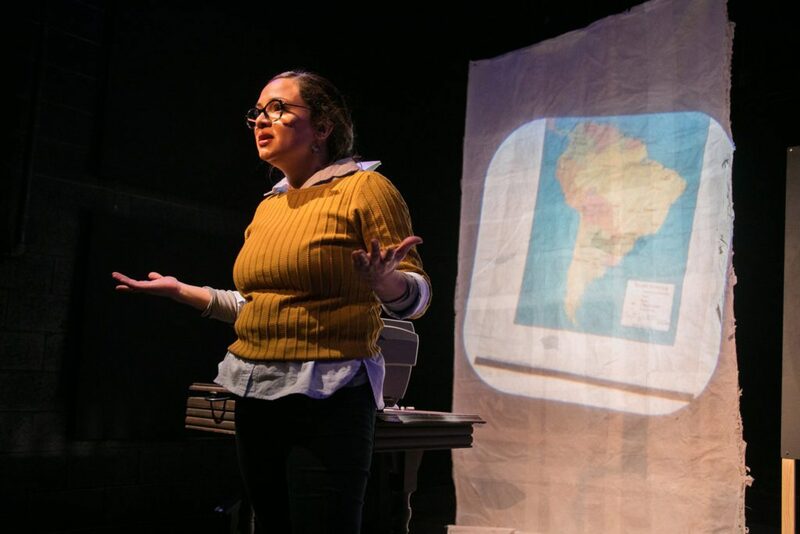 In “La Profesora: The Story of Nibia Sabalsagaray,” written and directed by Noelle Viñas, we learn about the United States’ covert CIA Project Condor in Uruguay. Virginia Blanco portrays Nibia, the revolutionary, and her sister La Profesora Tachi, bringing both to life, emphatically. Tachi delivers the lecture that gets her fired, one last time. We learn the lurid details of the torture and murder of rebels, tearing the mask off Uruguay under thumb of the CIA. Focusing poignantly on the tragic case of Nibia, Viñas leaves us wondering how many Nibias have been lost in the depths of time–and under U.S. covert interference. In “Turning the Page: The Story of Aiko Herzig-Yoshinaga,” Jeanne Sakata recounts the despicable forced removal of Japanese-Americans to so-called “relocation camps” in the 40s. Under the direction of Jeffrey Lo, Aiko Herzig-Yoshinga (emotional Heidi Kobara) rends our hearts with her vivid memories of being transported to the desert. The Japanese-Americans were actually deprived of their rights and property simply because of their heritage. Amid horrible conditions in the camps, Aiko’s family suffers from the dust that permeates their shabby shelters. 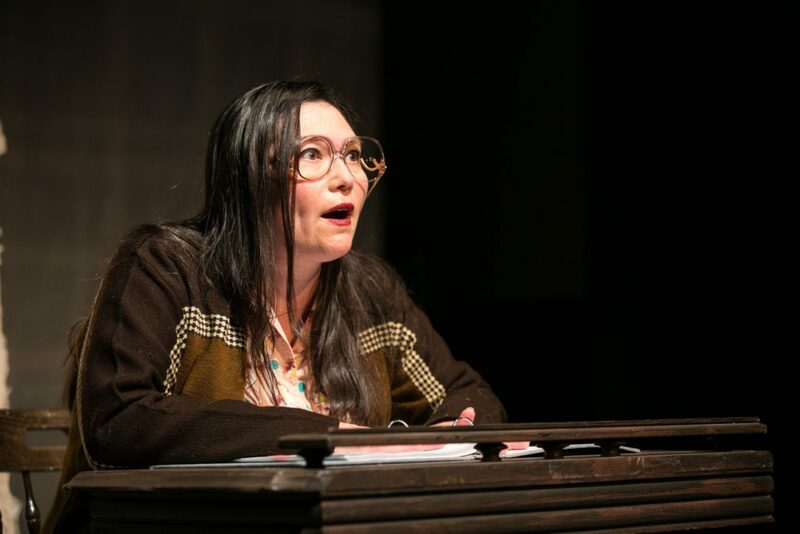 Playwright Sakata highlights the links between the 1940s Japanese internment and current American xenophobia. In “The Racket: The Story of Smedley Butler,” by James and Jon Tracy, directed by Robert Parsons, we see historic photos illustrating the U.S. invasion of Nicaragua in the 1920s—on behalf of the United Fruit Company. Powerful U.S. Army Major Smedley Butler (dynamic Aaron Murphy), reveals the chilling facts of his career. Butler, an acknowledged war hero, in fact, became an outspoken critic of America’s overseas wars on behalf of U.S. corporations! Major General Smedley Butler served in in China, Latin America, the Philippines, and WWI–he knows what he’s talking about. Like all the “Between Us” plays, “The Racket” offers us a unique awakening to U.S. racism and corporate greed. These plays tell us what we need to know. Casts: Virginia Blanco (Tashi), Heidi Kobara (Aiko Herzig-Yoshinaga), Aaron Murphy (Smedley Darlington Butler). Casts: Dezi Solèy (Marie Laveau), Mike Sagun (Larry Itliong), Jennie Brick (Sharon), Sam Jackson (Esther).